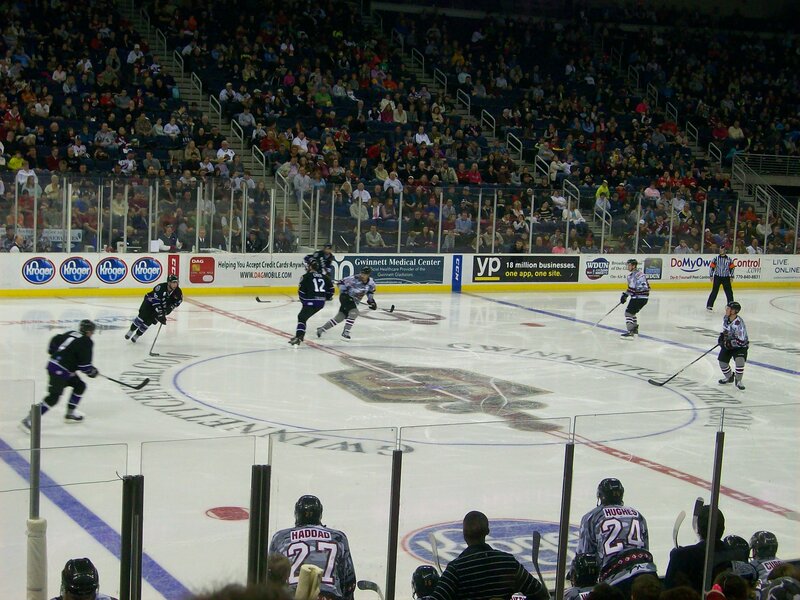 Last night, my son and I enjoyed an evening of Gwinnett Gladiators’ hockey. 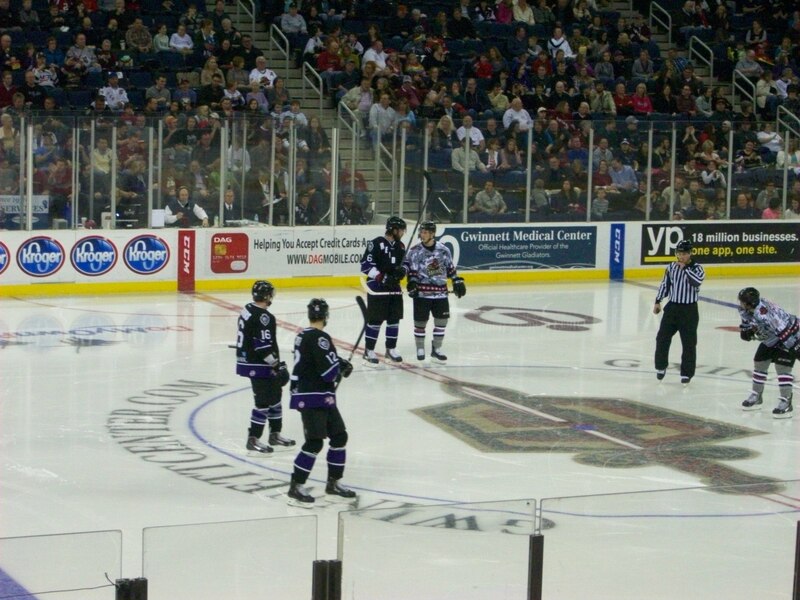 We have gone to watch several Gladiators’ games at the Gwinnett Arena through the years, and this one was another good experience. Of all of the times that we have gone to watch Gladiators’ hockey, last evening was the most full of spectators that I have ever experienced the Arena! There were lots of people out to support the hometown team last night. 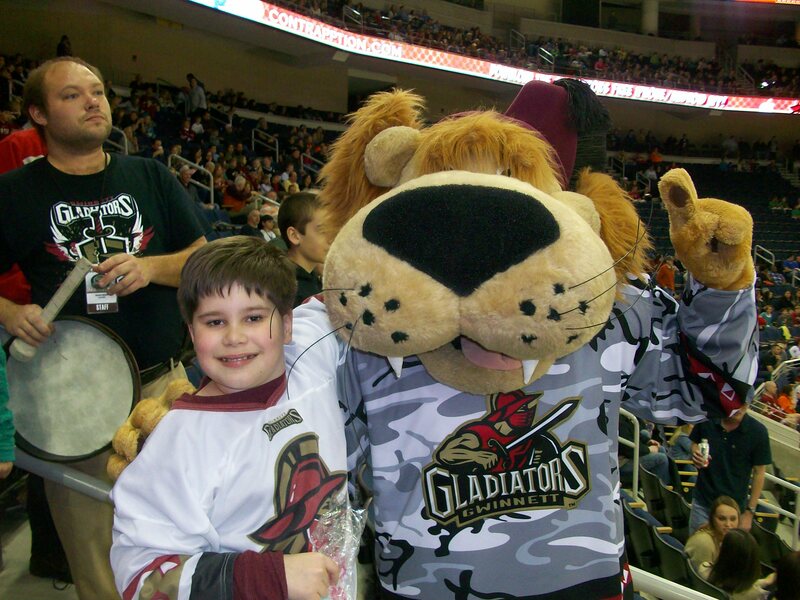 Of all of the times we’ve gone to Gladiators’ hockey, we’ve never had a photo opportunity with the team’s mascot, Maximus, but we did last night. Thank you, Maximus – both my son and I really enjoyed that! 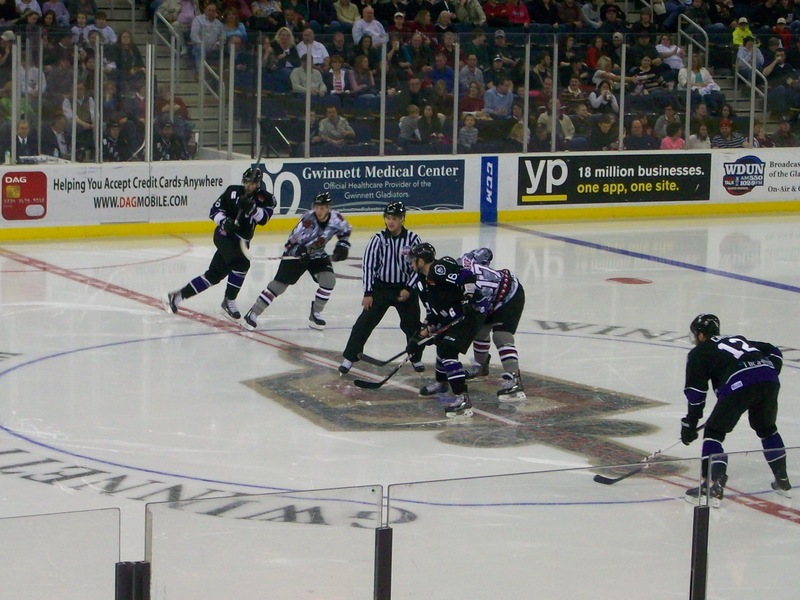 The Gladiators’ played the Reading Royals from Pennsylvania. There was alot of good hockey that was played, and also much fighting on the ice – which got some of the crowd pretty riled up. Some folks like a good show, but I come for the hockey. The goalie who played for the majority of the game really got a workout – he prevented the Royals from scoring on 35 of 37 attempts! Way to go, Nick Niedert! Our concern goes out to the first goalie of the evening who took two really hard hits and appeared to get knocked out after a hard hit by a member of the Royals’ team. We hope you are okay. This weekend was also a special “Puck Dynasty” time for the Gladiators. Vouchers for special grey and white camouflage, mesh jerseys were being sold at the Arena last night, inspired from the show, Duck Dynasty. While I have never watched that show – nor really have an interest to – it was good to come out to support the team and for my son and I to enjoy a good game of hockey! An AC-DC tribute band played songs of the hard rock band, AC-DC, during intermission periods, as well. There were many people who enjoyed the music, though it was just noise to us. While I mean no offense, I think that a band that played country music would have been a bigger hit at the game. We are happy for the opportunity to have sat by some really nice folks at the game, last night, too. It certainly makes for a better experience for everyone when people are kind and polite to each other. And, thank you for locating and turning in my camera that I inadvertently left – I returned to find it, and am very appreciative of getting it back! 🙂 I really appreciate the kindness of whoever turned it in to customer service, and those who helped me retrieve it when I came back for it! Though the Gladiators’ came out with a score of 2-1 in a loss to the Royals, you are a winning team in our book. We appreciate enjoying an evening of good hockey! What has happened to the American Dream? Is it alive? Is it dead? Has it changed? Does it apply to some people and not others? I think there are several possible answers to this question, with certain answers applying to particular people and different answers being relevant to others. I will attempt to explore some of the answers to the initially-posed question, and relate those answers to various Americans, particularly those who live on my own street. When my parents and grandparents were growing up, I believe the American Dream meant to get married, potentially be educated, have a family, own a home, be employed, and be as successful as possible. There was talk when I was a kid of the American Dream including families owning a home with a white picket fence surrounding the yard, and generally being happy and successful, much like one would imagine on the TV show, Leave it to Beaver. Even on later shows such as The Brady Bunch, larger families who were combined as a result of second marriages were portrayed as experiencing the ups and downs of life, yet still being happy and successful. I would be hard-pressed to select an American television show, today, that portrayed the ideal living situation for most American families. Perhaps a family more like that reflected on Dr. Pol, having a single, adult son living at home with parents who are senior citizens, may be more like the America of today. Personally, as an adult, the American Dream for me, meant becoming educated, getting married (to an amazing man who would be both an excellent husband and father to our children), owning a home, and having a successful career that was enjoyable and rewarding, along with having a happy family. The American Dream also meant helping others and giving back to my community. Throughout my 20s, I strived toward those aims, and achieved one of them – becoming educated. In my 30s, I accomplished and/or partially attained some other facets of my American Dream, including getting married, owning a home, and having a successful career that was both stressful and rewarding. While the marriage was nothing close to the ideal that I had envisioned or hoped to achieve, an outcome of the union was the birth of my wonderful son, a blessing from God for whom I will always be thankful. I can’t say if the family part of my American Dream was ever really “happy,” though I always tried to put on a happy face for my son so he would not have to witness the stress, loneliness, unhappiness, and other issues that were the reality in the marriage. The marital union was never really a partnership as it should have been, but more like roommates living together and sharing costs, not the type of situation one would envision for the making of a stable family. One thing was for sure, however, the American Dream never included divorce. Marriage is supposed to be forever. Divorce was not an option. Yet, even so, divorce became a reality, though out of no absolute choice of my own. I always had hope for better in my American Dream, not worse. No matter how hard I tried, my American Dream never improved, but only worsened, at least in regard to marital issues. One just cannot force a person to change or perceive things differently if he won’t. So, this brings me to the reality of having lost the American Dream. For so many years, the American Dream has been an elusive façade that, to me, no longer exists. Having experienced marital separations and a divorce, as well as being unemployed and a full-time student, both the economy and lack of opportunity have proved too challenging for many such as myself to maintain the hope of an American Dream. What I have observed is that many people who have experienced divorce have also lost their American Dream. People who have lost their jobs and/or careers, as well as their homes, have also often lost sight of the American Dream. For others, experiencing each of these factors, simultaneously, has all but obliterated their American Dream. American Dream? “What American Dream?,” they ask. Particularly after a divorce, in addition to the loss of employment and home, it is extremely difficult for people to recover at all, economically. They wonder what hope is left for something as intangible as the American Dream. Indeed, for many, the American Dream transformed into something more like an American Nightmare. Taking into account those who live on my own street, for example, it is possible to explain how the American Dream has changed. There are 16 houses on my street. Of those 16 houses, there are six homes in which extended families are living together. More specifically, in those six homes that include extended families – which all happen to be Caucasian – there is one or more adult child living in the home with one or more of his or her parents who is a senior citizen and/or elderly. In three of those six homes previously mentioned, there is a single and/or divorced mother who is also raising one or more children. So, in those three homes, there are three generations of extended family members living together. Ten years ago, this is something that was rarely experienced among Caucasian families in the United States. Additionally, on my street, there are only two young couples who own their own homes. One couple has children, and the other does not. Most of the homes on my street are owned by Caucasians who are senior citizens and/or elderly. There is also one home in which an African-American mother resides with three of her sons who are minors. And, there is a home in which one Caucasian man who is divorced lives by himself. There are also two homes in which two adult sons live with their elderly mother, and another adult son lives with his elderly mother. Also, each of these men has been married and divorced at least once. This is just the make-up of those who live on my street. This is just another example of the changing face of the American landscape, the transformation of the American Dream. It is also a reflection that for certain people, the American Dream may still be alive and well. For two elderly couples and one older couple on my street, they have their homes to themselves. They have lived out their lives and appear to have lived the American Dream, as well. Is it only for them, then, that the American Dream has been accomplished? So, that brings me back to my initial question. What has happened to the American Dream? The American Dream appears to be alive for a select few people, but not for most others. At least, this appears to be applicable to most of those people who live on my street. Or, perhaps now, they may have a different conceptualization of the American Dream. At any rate, the American Dream is certainly not anything near to what it was in the times of my parents and grandparents. For many, such as myself, perhaps it was just an ideal that was never really able to be achieved anyway. Those who survive must adjust to a changing world, changing times, and changing ideals. Having strived for something that was unattainable in its entirety, I have experienced just how elusive and no longer realistic the American Dream really is. One may have to be happy for having experienced parts of it. My grandparents (now deceased) on my mother’s side were pure-blooded Poles, having left Poland and immigrating to Germany before coming to Ellis Island around 1950. 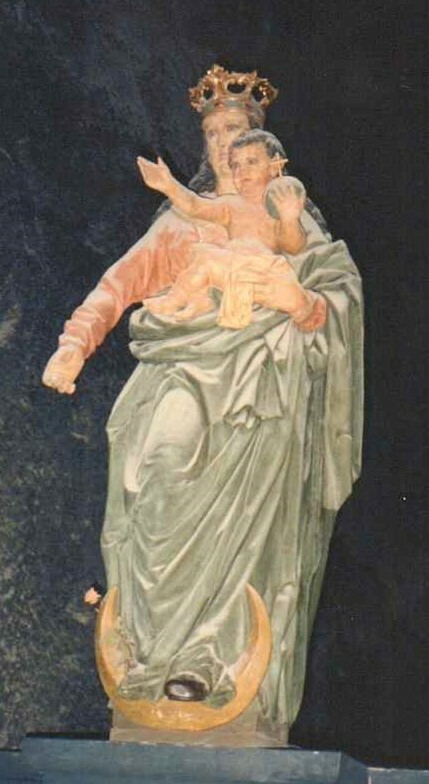 My Polish-American grandmother was Władysława, or “Lottie,” and my Polish-American grandfather was Janek, or John. I never knew either of my grandfathers as they both died before I was born. Grandfather John died following a two year battle with cancer, possibly brought on by working with the many chemicals at the Tannery in Gowanda, New York, where he lived. Both of my grandparents worked very hard to put food on the table and keep a roof over the heads of four children, one being my mother. Sometimes, my grandmother worked two or three jobs at a time, such as waitressing at a local restaurant and tending plants at a local nursery. Life was not easy for my Polish-American grandparents who left Europe after World War II. But, they left because they did not want to take the chance of experiencing another Great War, and they wanted better opportunities for their children. After all, America was the country that was flowing with “milk and honey,” as they had heard. For two people who did not have more than an elementary or middle school education, nor knew any English upon setting foot in the United States, they certainly worked hard and did the best they could. Sponsorship of their family by cousins already in America helped pave the way for a different fate for their family than occurred for the siblings of my grandparents still in Poland. My grandfather was one of about 10 children in his family. I remember being told that his mother apparently told him when he was a young man that no woman would want to marry him because he had a glass eye. In those days in Poland, being poor and having a disability meant having fewer opportunities, as well as potentially being a societal outcast. When I think of such a statement, now, I think of how ridiculous it sounds, particularly with so many people who have disabilities making the best of their lives. 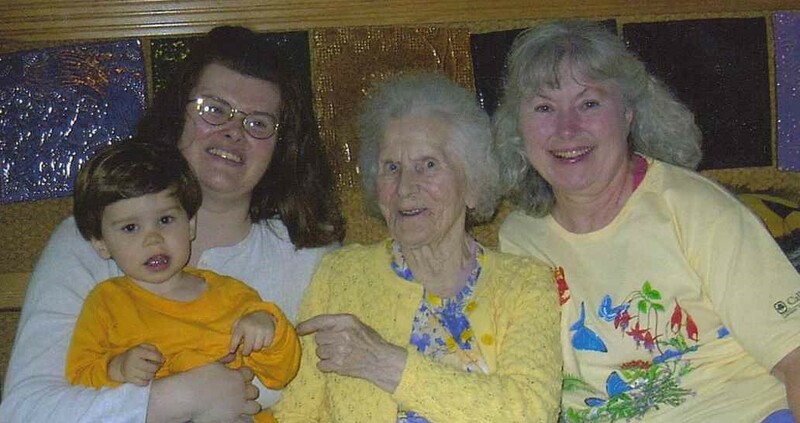 My grandmother was the middle child in a family of three daughters. Her sisters were Staca (pronounced “Stashia”) and Marianna. Many years ago, Marianna visited and stayed with my grandmother for three months in the United States on a temporary visa. And, many years following that, I had the privilege of studying at the Jagiellonian University in Krakow, Poland, and seeing her again! 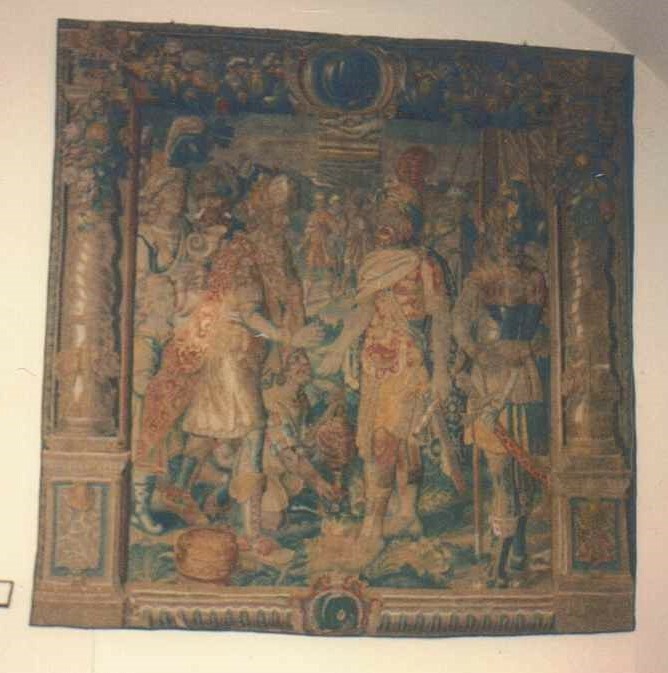 As a senior at the University of Buffalo in Buffalo, New York, I participated in the popular study abroad program to the Jagiellonian University in 1992. 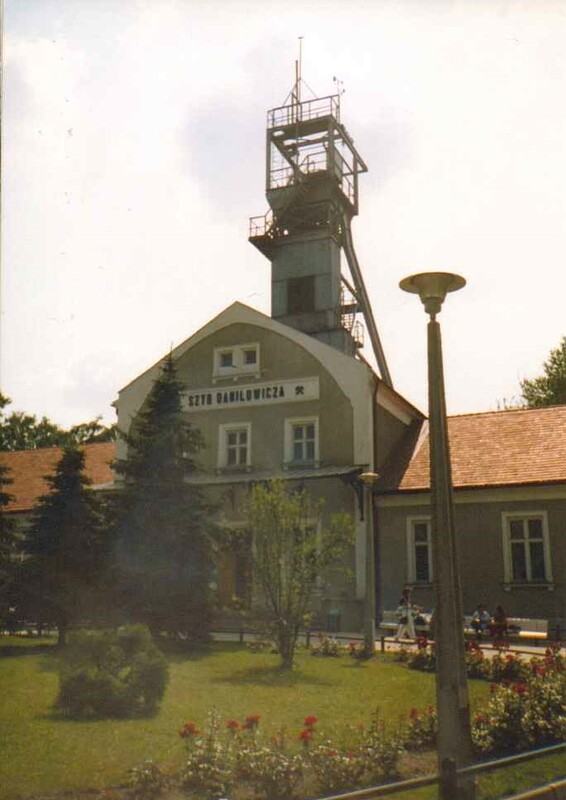 In the midst of studying intensive Polish language at the Jagiellonian – with the intention of being able to properly communicate with my Polish relatives in Poland – I sent a postcard to Marianna. A few days later, Marianna and her family arrived at my dormitory building, surprisingly unannounced, and took me out for the day. 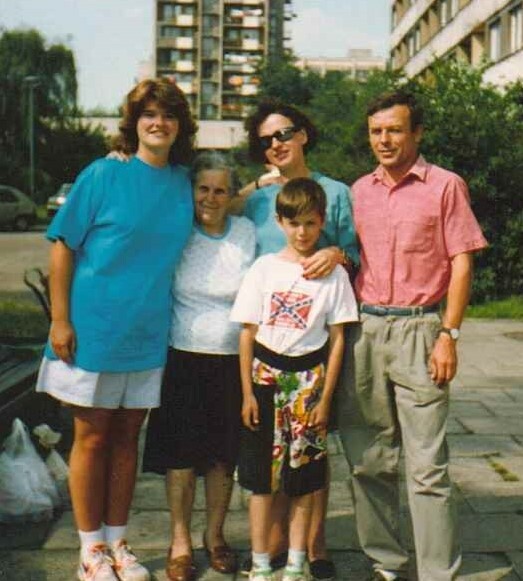 I then made plans to visit them for a weekend, and got to meet 15 of my Polish relatives in Poland, including Marianna’s family, the Drewin’s, who lived in Kielce. It was wonderful to see and visit with them all, and to provide monies to them that I brought specifically for them from the family at home. Studying in Poland at the Jagiellonian University was a wonderful experience. If I could have the opportunity to do it all over again (and at the same age as I was at the time), I would. Studying abroad in Poland was highly recommended to me by my fellow student colleagues who were members of the University at Buffalo Polish Club. Many of them lauded praises about the program. Because so many of them said such great things about their experiences, I decided to apply for the opportunity to go. It was very exciting to be accepted into the program, and to have taken the opportunity to go there. 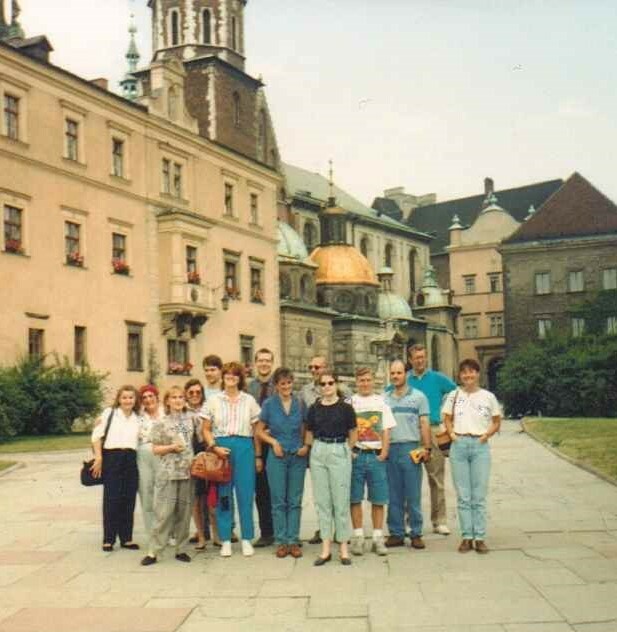 While in Poland, I did much sight-seeing with my English-speaking (mostly composed of Americans) study group at the Jagiellonian University. We visited the historic Wawel Castle and Cathedral, the amazing Wieliczka Salt Mines, the religious pilgrimage destination of Jasna Góra Monastery in Częstochowa, and had regular opportunities to see Krakow’s St. Mary’s Basilica and visit Krakow’s main market square. On my own, I also traveled to and visited Berlin, Germany during one weekend; and with a student colleague, I went to Prague in the former Czechoslovakia, for another weekend. On yet another weekend, the same student colleague and I visited Vienna. I found Berlin to be a historic city, one in which a person could still obviously observe the differences between the former West and East Germanies. And, Prague is just an amazingly beautiful and historic city, with many historic structures still standing, having not been demolished in previous wars. Vienna was an incredibly beautiful city, also being extremely modernized and commercialized. I have many memories of my time spent studying abroad and travelling in Europe. I had such a wonderful experience in studying abroad that I returned to Europe two years later. At that time, I travelled with my mom through the British Isles, including England, Scotland, and Ireland. Following that, I went solo, traveling through many European countries. While in Europe in 1994, I used my Brit Rail and Eurail passes to travel by train, everywhere. I traveled lightly with only a couple of bags, and remained in Europe for about one month. In all, it was a fabulous experience, and I highly recommend it. I would definitely do it all over again if I ever had the opportunity. I am very proud of my family, my ancestors, and my Polish-American heritage. While there are additional nationalities in my make-up from which I am descended, the Polish part of me is the strongest next to that of being American. I am thankful that my Polish-American grandparents had the fortitude and courage to come to America, where they succeeded in creating a better life for their family, and their descendants to come.